I know when you saw the title of this post many of you thought: “Why is she writing about eye protection for dental patients? It’s basic – everyone does this.” Well, I came to realize this week (thanks to a story from CBS in Philadelphia) that it is an inaccurate assumption. Despite recommendations from both the ADA and the CDC that patients always wear eye protection, the statistics indicate something surprising. According to the report, a survey of dentists showed that only 54 percent had patients wear safety glasses “sometimes”, 6 percent said “most of the time” and another 20 percent said they “never use” them. Wearing protective glasses can be looked at from several perspectives. One is preventing the catastrophic and rare occurrence like a patient losing an eye due to bacteria being introduced during a dental procedure. It also eliminates having to deal with the stress of a patient getting something in their eye, rushing them to the eye wash station, sending them to the eye doctor and having a generally negative experience. But beyond this I think of protective eye wear as an integral part of the positive patient experience we strive to create in our office. For many patients there is a level of anxiety; part of that may be due to loss of control and lack of a thorough understanding of what to expect. Now add to this being asked to keep your eyes closed. Most of us want to be able to at least “see” what is happening. In our office we want to make it as easy as possible for patients to keep their eyes open and be part of the process. 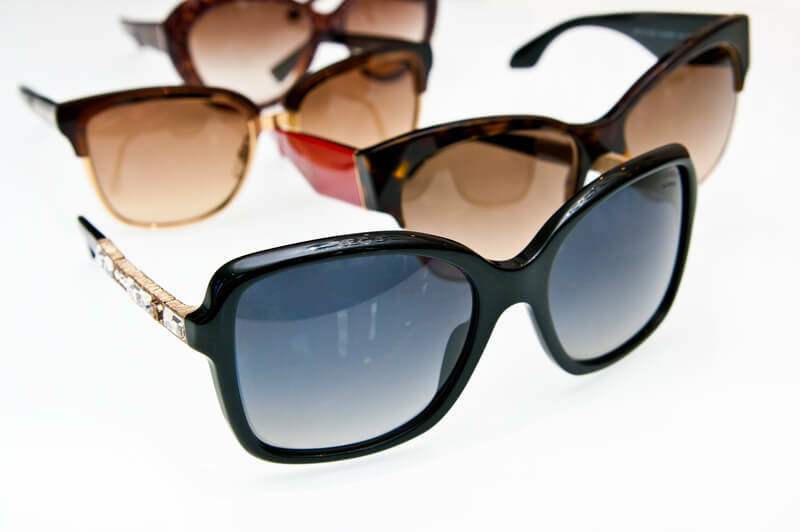 We give all of our patients protective plastic sunglasses to wear at the very beginning of each procedure. They sit out on the assistants side counter, as a constant reminder, and we have trained ourselves that the glasses go on before we flip on the light on the chair or on our loupes. The sunglasses allow patients to keep their eyes open if they want and not be bothered by the intensity of our lights, and prompts us to offer them the eyewear for every procedure. It’s also become a great source of some fun in the office as we have multiple styles of sunglasses for both kids and adults. Some look pretty stylish while others are much more about function. 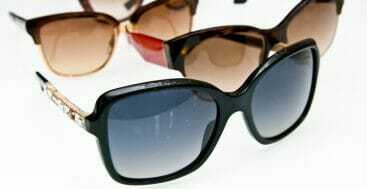 We let them chose the ones that fit the best and many of our patients come in with their own sunglasses and are ready to put them on as soon as we start to lean the chair back. Another reason is to protect the patient and yourself from transmitting herpetic infections from the mouth to the eyes should active lesions be present. How do you clean them in between patients? We disinfect them with 1 minute wipes from GC America, and then clean the lens with eyeglass lens cleaners we buy at the optical shop at WalMart to get rid of the spots. I think protective glasses don’t do anything for protection for a dental patient, except maybe getting poked in the eye, which I would be just as concerned or more concerned of fluids splashing into the eyes. Wouldn’t it make more sense to have patients wear some sort of goggles so that liquids don’t get splashed into their eyes? Many protective glasses are held away from the face and when you are laying down, liquids easily can go underneath them. I don’t know how many times I’ve had to close my eyes still from getting so much over spray into my eyes. There are many types of goggles that could be used and would be more comfortable and protective then hard plastic glasses. They could be something as simple as swimming goggles even.